Rachel is a Director and member of the Audit Committee of PIDG Ltd.. She has held a number of non-executive positions over the past 10 years in both the private and public sector. Currently, Rachel is also Chair of Acacia Mining plc (a FTSE 250 natural resource company with operations in Africa), and a Director of Helios Social Enterprise, which delivers renewable energy access in rural communities in sub-Saharan Africa. Previous non-executive roles include being a member of the Audit Committee for the UK Department for International Development (DFID) and more recently, Chair at Adam Smith International, a global advisory company where her responsibilities included leading independent investigations under intense public scrutiny and enhancing governance, controls and procedures, relating to earlier management failings and external allegations. 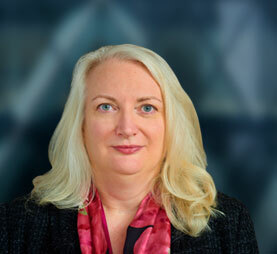 Previously, she has held senior positions in leading energy companies, including BG Group and Royal Dutch Shell, with responsibilities spanning finance, corporate strategy, mergers and acquisitions, and business development. She began her career at PriceWaterhouseCoopers and subsequently worked for the World Bank Group and European Bank for Reconstruction and Development (“EBRD”), where she was involved in policy development and lending operations. Rachel is a Fellow of the Institute of Chartered Accountants.